” Modernist and postmodernist urban planning with predetermined and centrally determined functional division and aesthetics have proved to fail in a world in constant change. 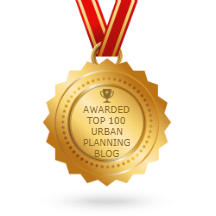 SLA meets this challenge with a landscape inspired planning method called process urbanism. Process urbanism is a method that uses the same logic as nature’s principles of organization. Nature and the city are not opposites or delimited units. They are diversified systems which combined should be balanced. Knowledge about wind, water, light, energy, circulation, politics, health, urban life, density, sustainability etc. is collected into one urban ecosystem, filled with poetry and surprises. Storyboard for the film about process urbanism. The film about process urbanismparticipate in the traveling exhibition Man MadeEnvironment in 2010-13. It is exhibited in Oslo, Copenhagen,Stockholm,Reykjavik and Helsinki. The project appeared as astoryboard at a landscapeexhibition at the NordicLighthouse during Expo inShanghai, 2010. Read more about New Nordic Landscapes. Type: Development and communications project.